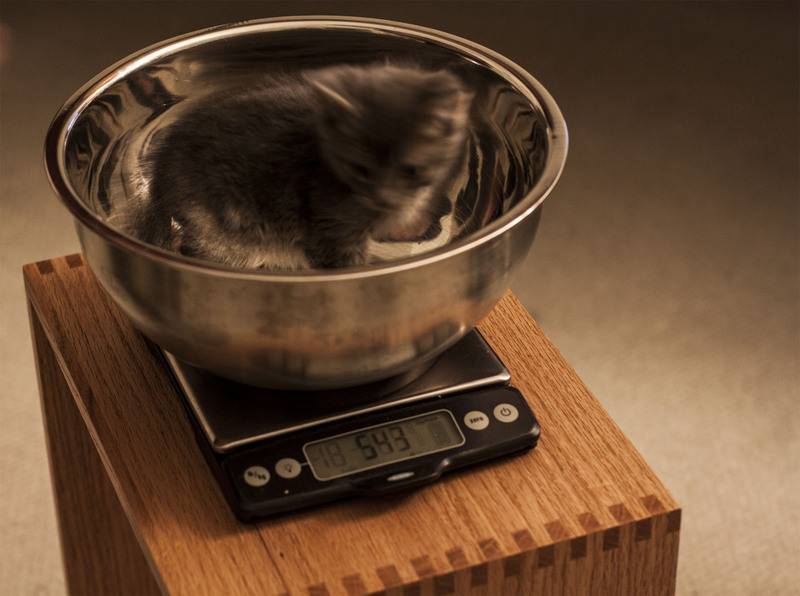 My wife and I were concerned that one of our foster kittens, Mustachio, wasn't gaining weight so we started weighting all three of them at regular intervals. We have enough data points now that I figured I could get a fairly reliable slope of best fit, so I entered them into a Google spreadsheet and made a chart. Mustachio seems to be doing just fine now, but it's interesting that his weight change is essentially the inverse of Tree Trunks (forgive me, I named them in about five seconds like an American Indian). Even though Tree Trunk isn't gaining weight as quickly as the others she's still gaining weight, so mild foster kitten worry allayed through some basic analytics.